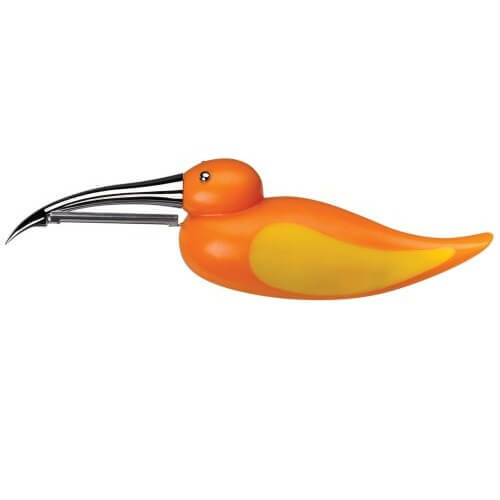 The orange Animal House bird peeler is a great tool to bring fun to the kitchen with this stainless steel peeler. 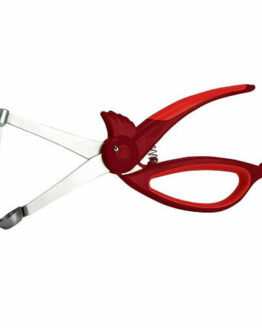 The orange Animal House bird peeler is a great tool to bring fun to the kitchen with this stainless steel peeler. 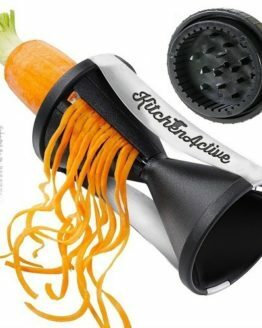 Kids especially enjoy helping out when they get to use this whimsical bird-shaped fruit and vegetable peeler. 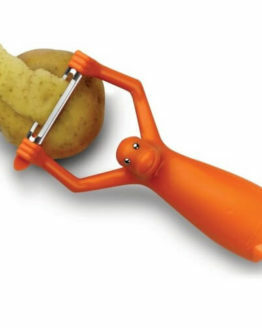 Requiring some adult supervision, this peeler takes the shape of a sitting (or floating) orange and yellow bird. 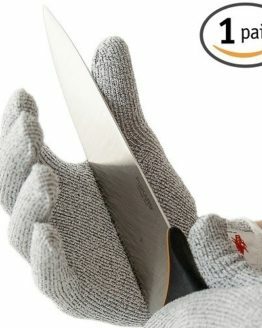 Its long, pointy stainless-steel beak works well at removing eyes and blemishes from potatoes, and the stainless-steel blade swivels to adeptly peel round surfaces. The body and head, complete with eyes, forms an ergonomic, non-slip handle. Not only does the bird peeler get the job done, but it can bring a smile during a harried day and makes a great gift along with other fun utensils from the Animal House menagerie. After use, the peeler is best washed by hand.